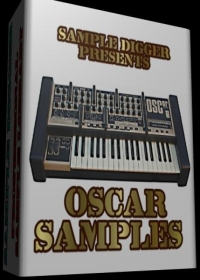 Buy and Download > Description The OSCar is a classic mono-synth from British manufacturer Oxford Synthesiser Company OSC. It came in 1983 and though it was in the same class as the Arp Odyssey and Minimoog mono-synths its late arrival makes it one of the more advanced programmable mono-synths of its time! It''s got a really cool sound digitally controlled dual oscillators with analog filters and plenty of programmability all packed into a quirky little plastic case with 37 keys. MIDI also appeared on later revisions as well. Its sound starts out from its two DCO''s. 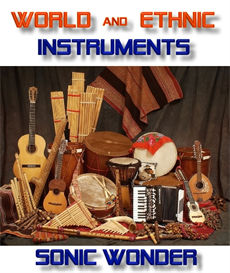 The synth is monophonic but can also achieve duophonic capability when using just one oscillator per voice. 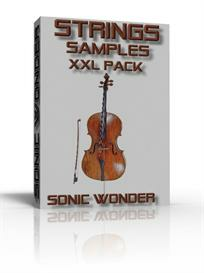 Waveforms offered include sawtooth triangle and square- variable- or modulated-pulse waveforms. In addition to these analog waveforms there''s an additive-synthesis function allowing you to create your own custom waveforms by simply mixing the amplitudes of any of its 24 harmonics using the keyboard. 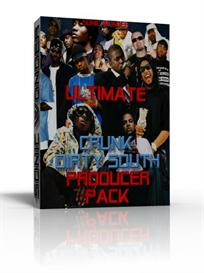 Up to 24 of these custom waves can be stored and used with either oscillator. Once you''ve got some sounds it''s time to hit the filter section - the real analog heart of this synth! It has two 12dB/oct filters which can be linked for a steeper 24dB/oct slope. It features switchable lowpass highpass and bandpass filtering and your basic frequency cutoff and resonance type controls. The filter has its own ADSR envelope as well a second ADSR envelope controls the amplifier section. The filter can also be modulated by the LFO. The OSCar''s LFO offers triangle sawtooth square and other wave shapes and can also be used to modulate the amp pitch or pulse-width. There''s even a sample-and-hold function. A simple built-in sequencer gave the OSCar duophonic capabilities! It could play a sequence on one of the oscillators while the keyboard can be used to simultaneously play along with the sequence. It stores up to 24 sequences. When MIDI came on later models after 1984 you could easily synchronize your OSCar and other MIDI gear together and patches stored in memory could be dumped via MIDI to more permanent offline storage mediums. MIDI models also offered 36 programmable memory patches which are assigned to the actual keyboard keys pre-MIDI models had 12 preset and 24 user patches. The OSCar is usually hard to find and they usually need some work they''re almost 20 years old but it''s a favorite and classic little beast which has been used by Hardfloor Orbital Ozric Tentacles BT Jean-Michel Jarre Asia Ultravox Stevie Wonder Sneaker Pimps Keith Emerson Sneaker Pimps and Underworld.